When you have placed your order, please reply to the order confirmation with the photo of your bow, measurements (Up to 45" in length) and your bow design choice. All the bow designs will be custom made to suit your boat bow, rather than having a one size fits all, we would rather do them so that it looks right and fills your bow correctly. 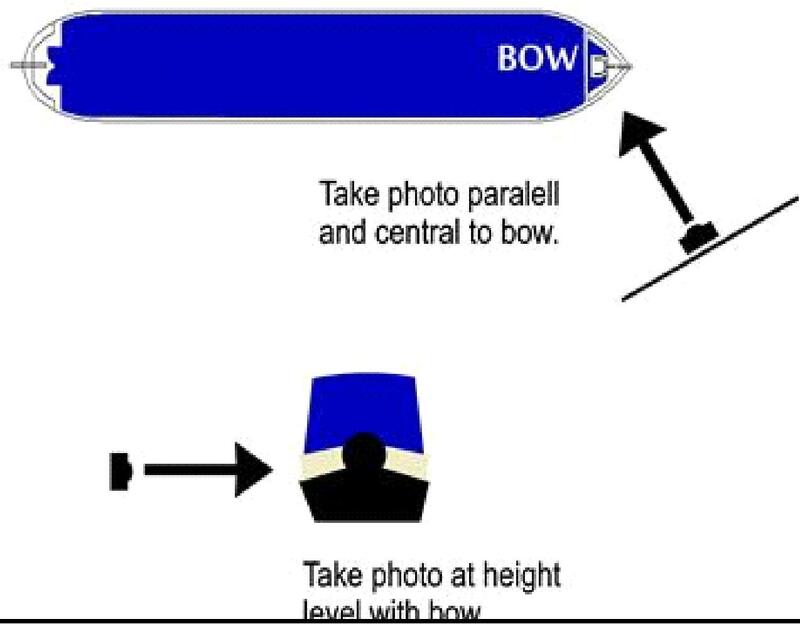 As such we will need you to read the instructions below and once you have placed your order, email us the information and bow flash design choice and we will do the rest and send you a proof of the design imposed on your bow before printing. These easy to fit bow flash designs now come laminated to add protection to your graphics, prolonging that just new look.Please take a straight on photo of the bow as in the image below. Also send some clear measurements with the start and end point clearly marked as in the image below. We can also do custom designs just let us know if you require anything different. All the bow designs will be custom made to suit your boat bow, rather than having a one size fits all, we would rather do them so that it looks right and fills your bow correctly. As such we will need you to read the instructions below and once you have placed your order, email us the information and bow flas h design choice and we will do the rest and send you a proof of the design imposed on your bow before printing.